I remember the first weeks of college, having such fun getting to know great people from all over the country. Friends on my hall were from Chicago, Colorado, California, Michigan, rural Tennessee, and New Jersey. Being in Tennessee, my home-state, for college I had the opportunity to be part of introducing friends to some southern customs, foods and practices. One of those was Grits. Many friends had never heard of them. Some have never tasted them, and others were leery of them. Kind of like the Salmon Cakes I wrote about this spring, grits can span from “down home” to high class ­– from Cracker Barrel Restaurant served as a side with the bacon and eggs breakfast platter to upscale restaurants serving them to accompany grilled shrimp. I like grits simply served with a little salt, pepper and butter. But cheese grits, well, they are an altogether different thing. They are fabulous. They are great for breakfast as well as a side dish. 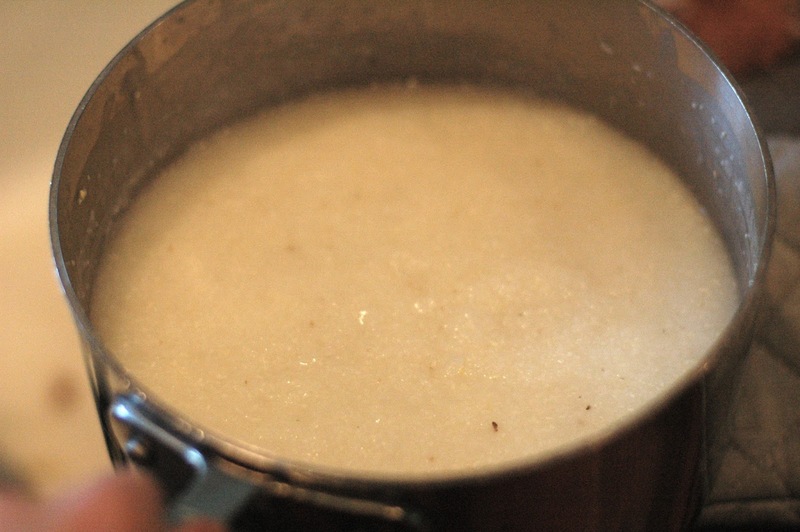 A local BBQ restaurant serves grits of all flavors- each day offering Grits of the Day as well as their always–available Garlic Cheese Grits. 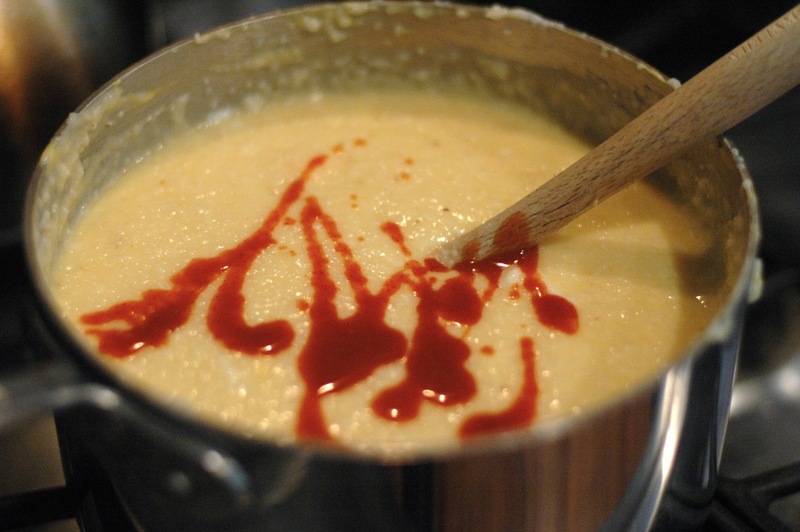 To those of you who are fans of cheese grits, this recipe is a keeper. To those who have never had the privilege of having them, this is worth the try. It is my mom’s recipe that we have served for brunches and special breakfasts for years. Recently, with our love of Shrimp and Grits, I have made them for dinner (served with shrimp). Another night we had Cheese Grits with neighbors when we grilled pork tenderloin and chicken (and had those Quick Sour Cream Biscuits). For my family I have halved the recipe because it makes so much. Dave prefers that I make a full recipe so that he can eat the leftovers for breakfast. This recipe is soufflé–like in that it has eggs in it and is baked in a casserole dish, so it fluffs up a bit. It keeps well and even freezes well. The original recipe calls for Velveeta cheese, which I resist because it is “processed cheese spread” by their own admission. However, it does melt so nicely. That’s its benefit. I like to use 1/2 Velveeta and 1/2 sharp cheddar cheese. You can experiment and find the cheese(s) you like best. Cook 1 1/2 cups grits as directed on package. 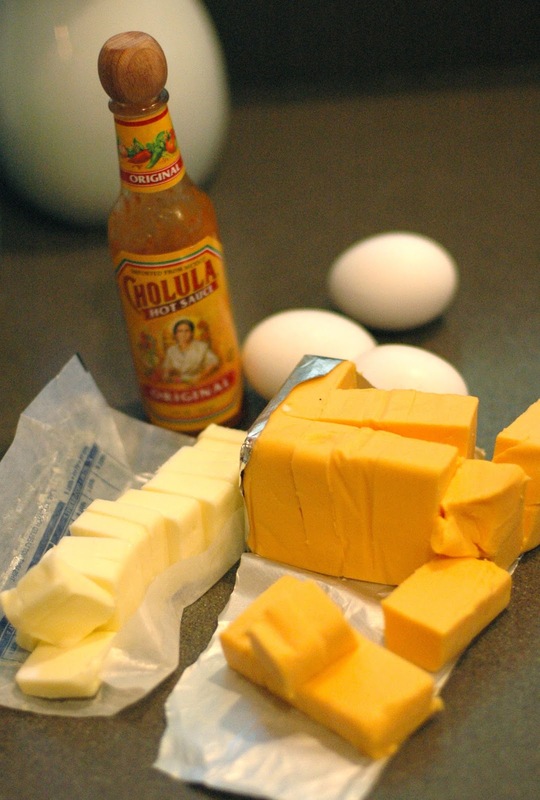 While hot, add butter (cut into slices to make it easier to melt), cheese, tabasco, and eggs. Pour into a casserole dish coated with cooking spray. Bake for 30 minutes at 350˚ or until fluffy and golden. 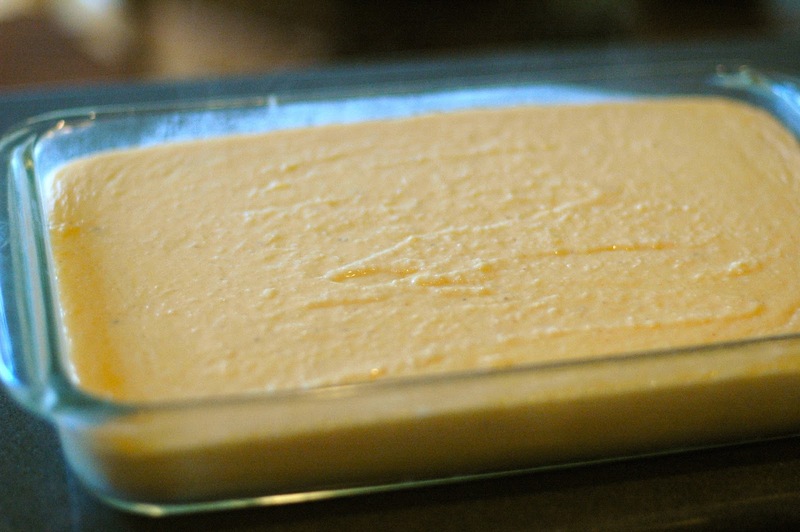 (You can freeze grits in the pan and bake them later). 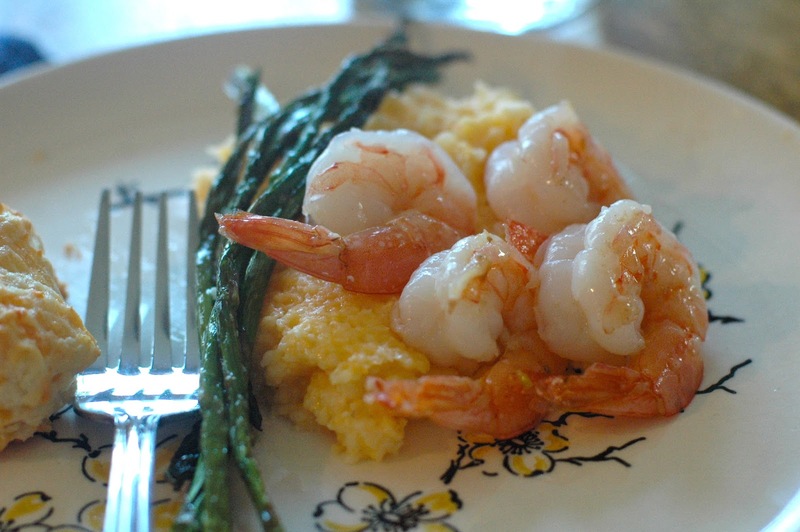 If you want to make Shrimp and Grits, use raw (uncooked) shrimp. I buy it frozen and thaw it in a bowl of water. Peel shrimp. Toss in some melted butter and sprinkle with garlic powder and coarse salt. 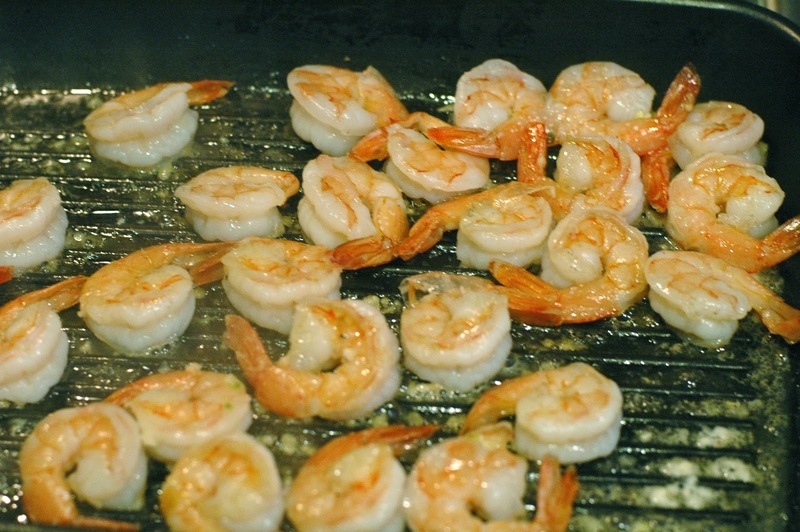 Place on a hot grill pan or skillet. Cook for a couple of minutes. Turn over. Cook other side. Remove and plate with Cheese Grits. I like to serve with simple tossed greens, sautéed green beans, or roasted asparagus. 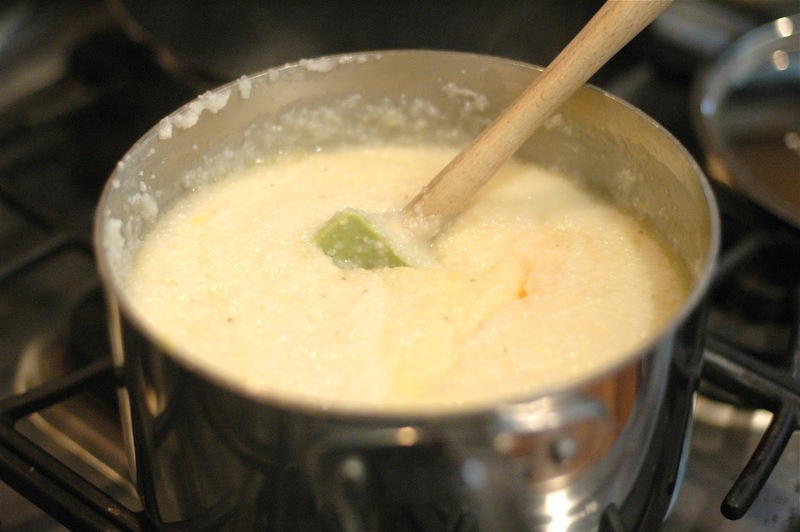 Whether you’re going for down home or high class, find a way to incorporate some cheese grits into your menu planning!